Conference and D.J. 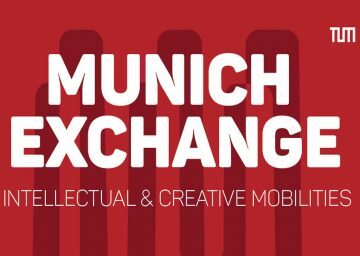 Session "Munich Exchange"April 26, 2018, 9:30 a.m. - 9:30 p.m. Following the seven exchanges across Africa and the diaspora that were a major part of the preparation of the exhibition African Mobilities at the Architekturmuseum der TUM, “Munich Exchange” brings together designers, curators, artists and researchers to discuss creative practices about im/mobility on a global scale. The African participants of the exhibition are joined by European colleagues to open up the discourse beyond Africa. Start D.J. Session: 5:30 p.m.